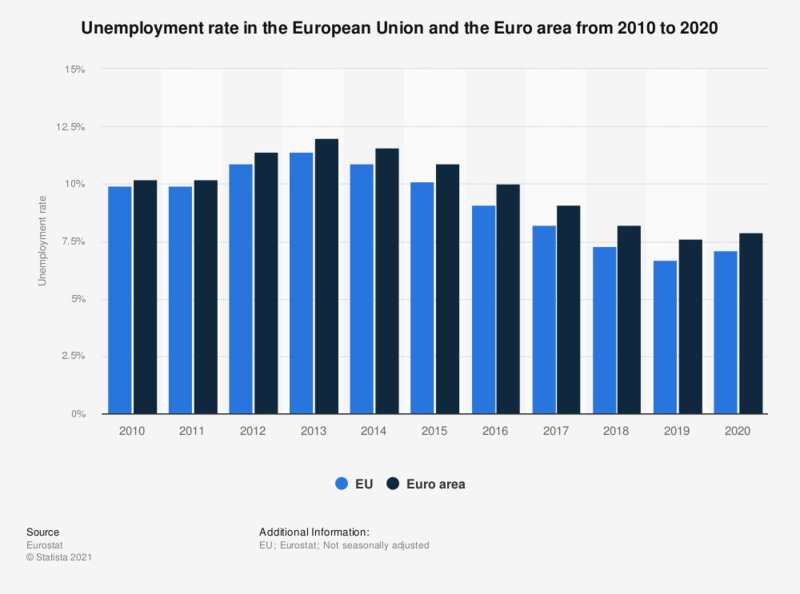 The statistic shows the unemployment rate in the European Union and the Euro area from 2008 to 2018. In 2018, the average unemployment rate in the EU was 7 percent. The figures for all countries refer to all current member states of the European Union, i.e. including the data of countries which had not been EU member countries previously.